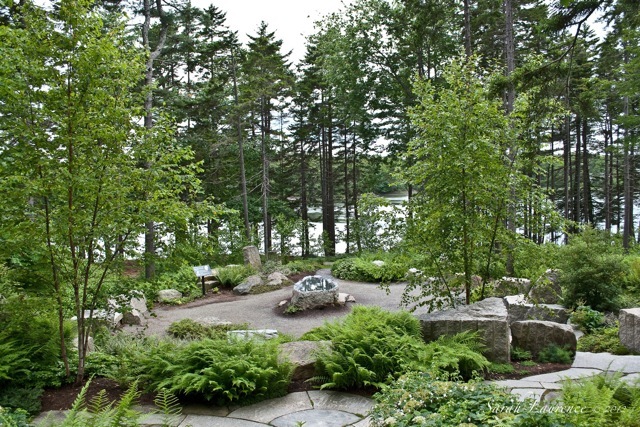 Allowing for reflection by the meditation pool. 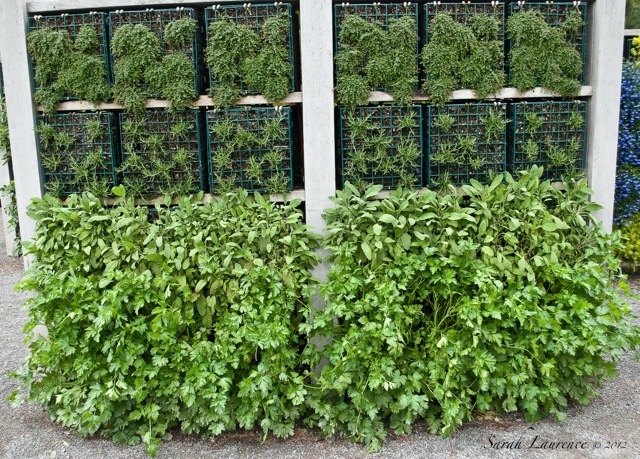 Simon and Garfunkel fans would appreciate the Scarborough Fair wall. Best of all were the life-like sculptures. 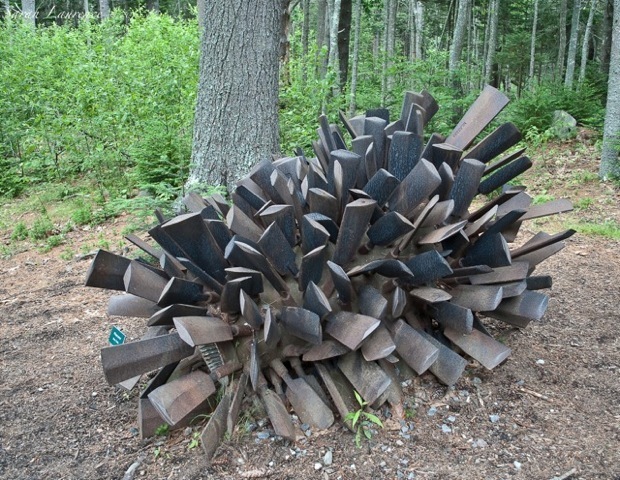 Steve Tobin's Pine Cone was made of boat propellers. 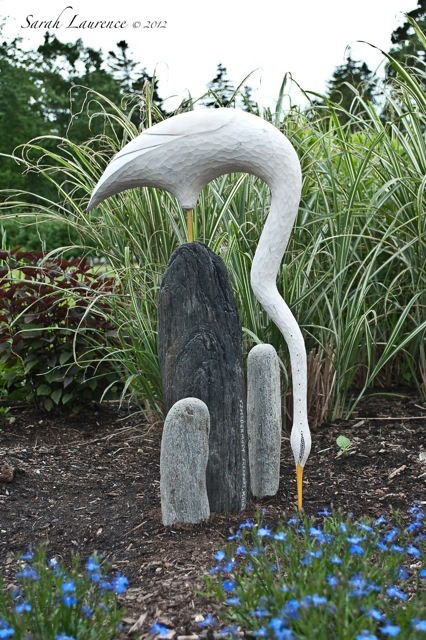 T.J. McDermott's egret in a sea of blooms. The only sound was the fall of water. parsley, sage, rosemary and thyme.....how lovely is that - and the propeller sculpture is pure whimsy. What a fun time! I love the glow everything gets when there is a stormy sky. So lush and green....in a year when so many are in the midst of a record drought. Such a pretty spot. The art is wonderful. 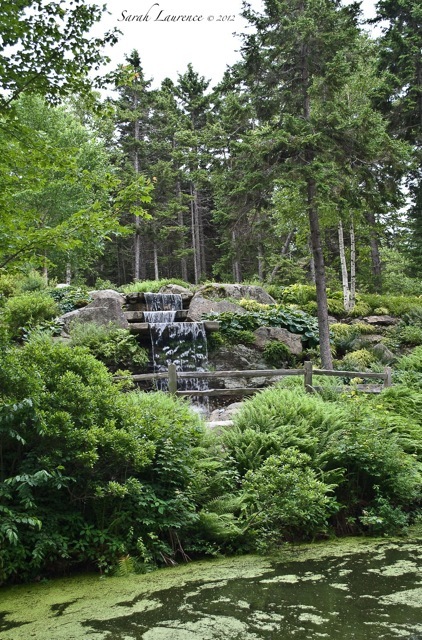 Fantastic gardens! It makes me smile that you visited the gardens on a stormy day and found them nearly empty. I like visiting museums when it rains heavily or a typhoon is coming! Usually no crowds there on such occasions. Your first photo is really amazing!! The metal crows! The giant pinecones! 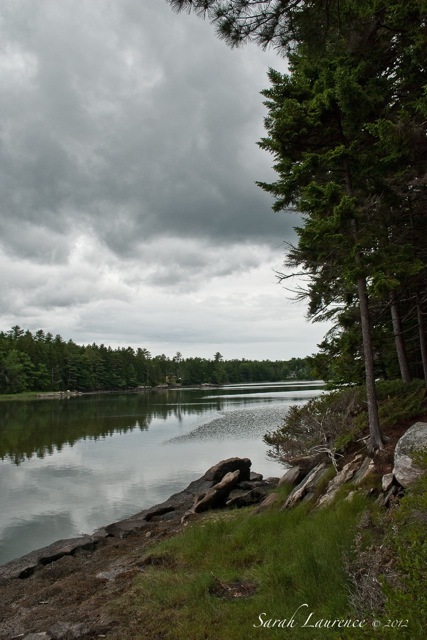 Your pictures always make me want to come to Maine and this is no exception. What a beautiful place. What a Fab' place. Much thanks for showing. The sculptures - esp. the last two - are sublime. Lovely Sarah! 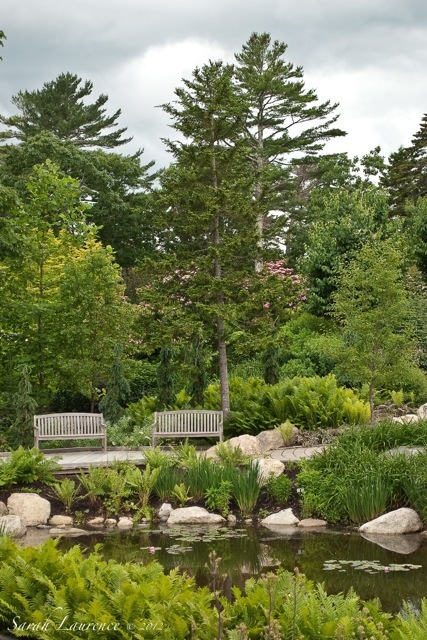 I love the spot with the two benches . . . I will think of you when I sit there in a few weeks. Beautiful photography! All fabulous but I love the pine cone best. It looks like you had the gardens all to yourself. Love the Scarborough Fair tribute; what a fragrance that must have had. 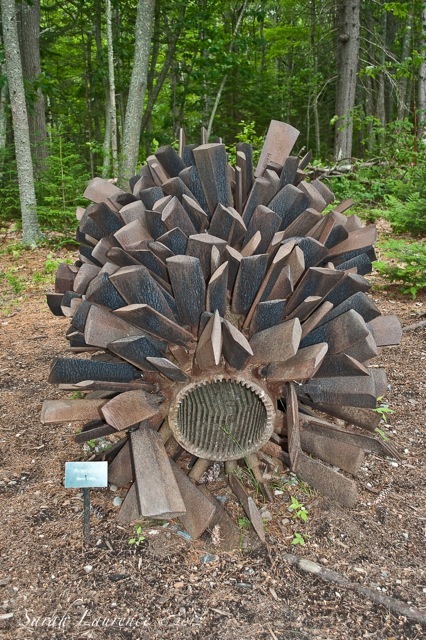 I'm not much of a fan of modern sculpture, but the giant pinecone is so cool! We always seem to visit gardens when there are crowds. It was wonderful that you could have the place to yourself. A garden is always best when it's quiet. I love that pine cone sculpture. It would be nice if someone would get creative around this area and rework all of the abandoned boats and homes into works of art. What a beautiful place! I'd love to go there. Especially on a stormy summer day--I love those. I hope you had a nice summer!